Description - Our Home Dance Subfloor tiles are a lightweight yet durable subflooring option that is perfect for use in the home. These easy to install tiles can be put up anywhere in the home, providing the perfect cushion underfoot for any practicing dance. 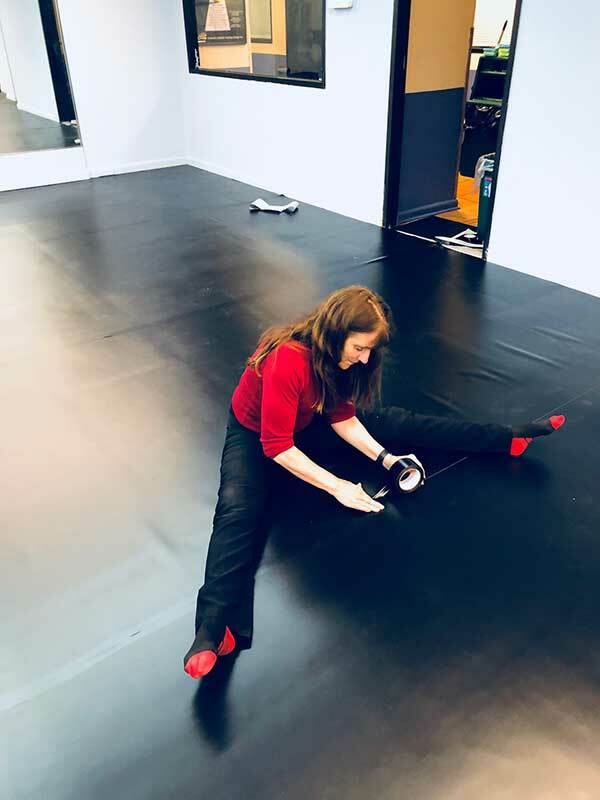 Portable dance subfloors add cushion for the dancer, without losing the support that is needed for balance and landings. 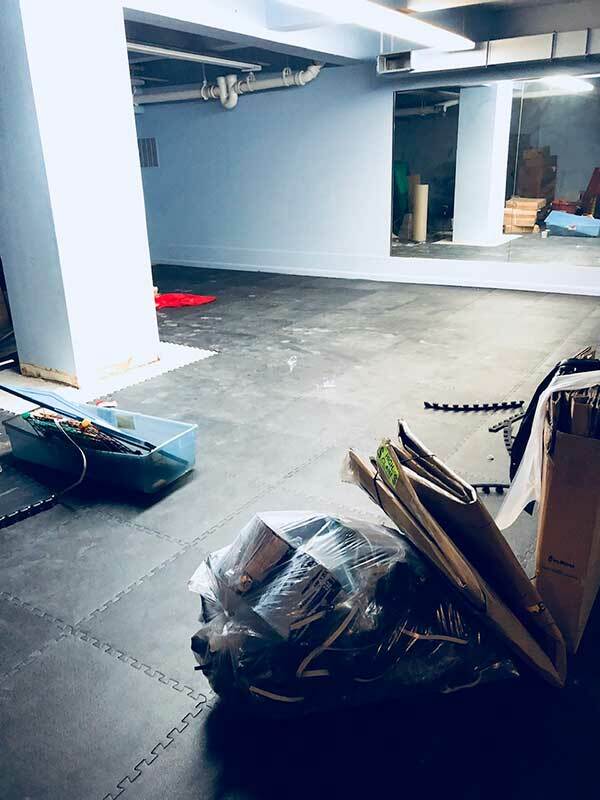 While this budget friendly dance flooring subfloor is NOT recommended for use with pointe, it can be used for introductory/beginner ballet, jazz, modern dance styles, and tap if used with Adagio floor. Pairs perfectly with any Marley dance floor rolls, such as Adagio, Adagio Tour, and reversible Dance Floor Rolls. Material – High density closed cell EVA foam. Weight – Tiles weigh approximately 2.08 Lbs. each. 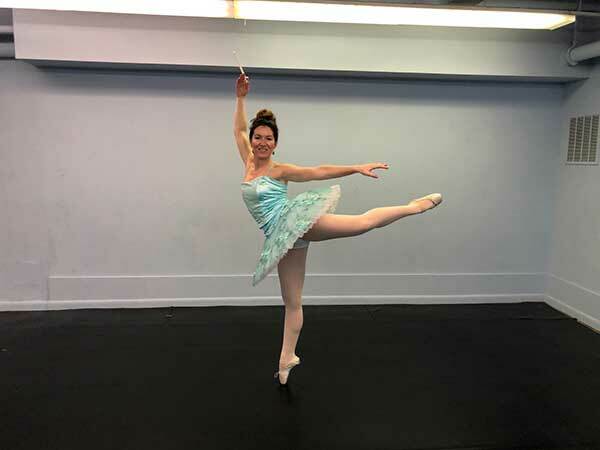 Recommended Uses – Home Dance Subfloor Tiles are recommended for use anywhere a cushioned yet durable subfloor is necessary for home practice of beginner ballet (not for pointe), jazz, modern, and tap with Adagio floors. 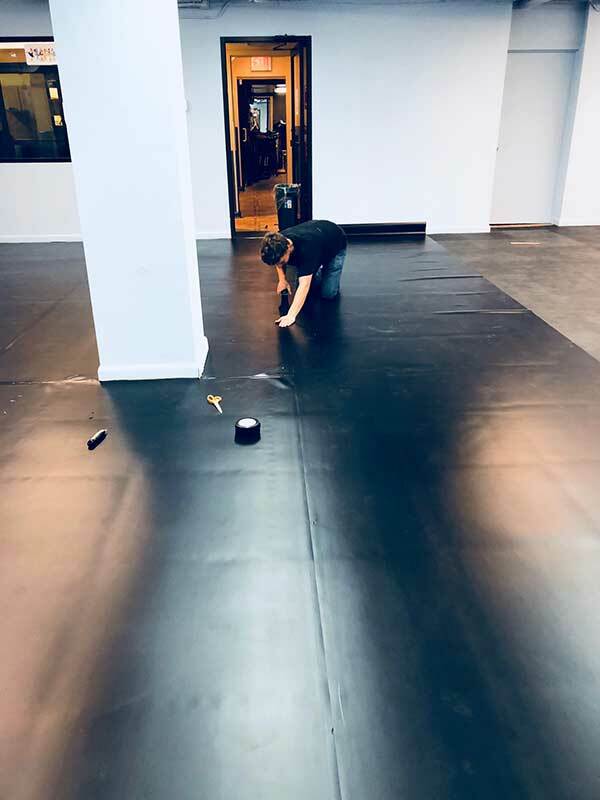 Laying the vinyl dance floor roll on top of the foam tile subfloor, you may have excess roll material surrounding the tiles. If so, this perimeter is to be taped down to your main floor using Mat Tape, creating a 'ramp' or 'tapered' installation. If you do not have excess roll material surrounding the tiles, you will do something a little bit different. 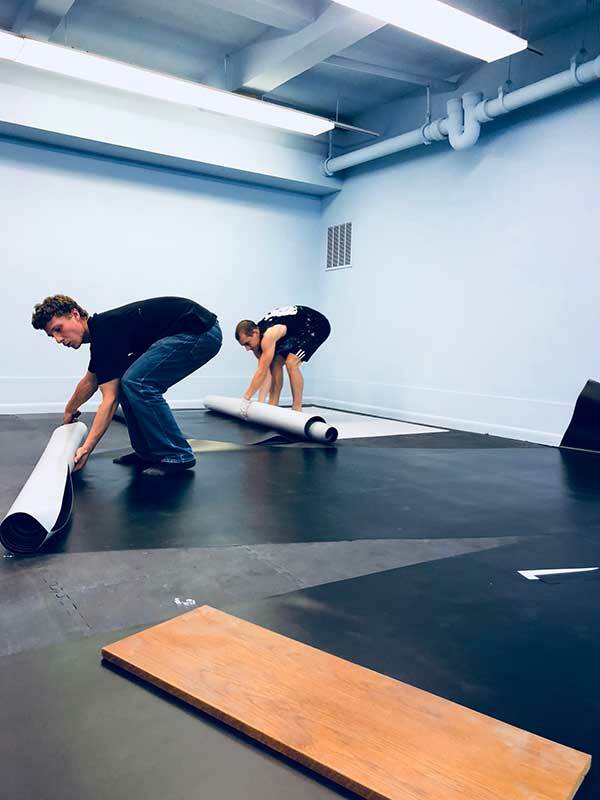 You will need to tape down the perimeter of your dance floor roll directly to the subfloor tiles using Mat Tape. This will create a flat surface and you will see the edges of your subfloor tiles. Easy to install foam tile subfloor provides a dense cushion underfoot for dancers. Lightweight and easily portable for travelling dance practices. Can be easily set up and broken down. Affordable subfloor option for the home dance studio. Perfect for use underneath any rolled Marley floor. Not for advanced ballet (pointe), flamenco, or irish dance as it may be too soft. does the roll marley floor install directly on to of this sub floor? Yes, you can put the Marley roll directly over these tiles. We recommend taping the perimeter in place as to avoid movement. 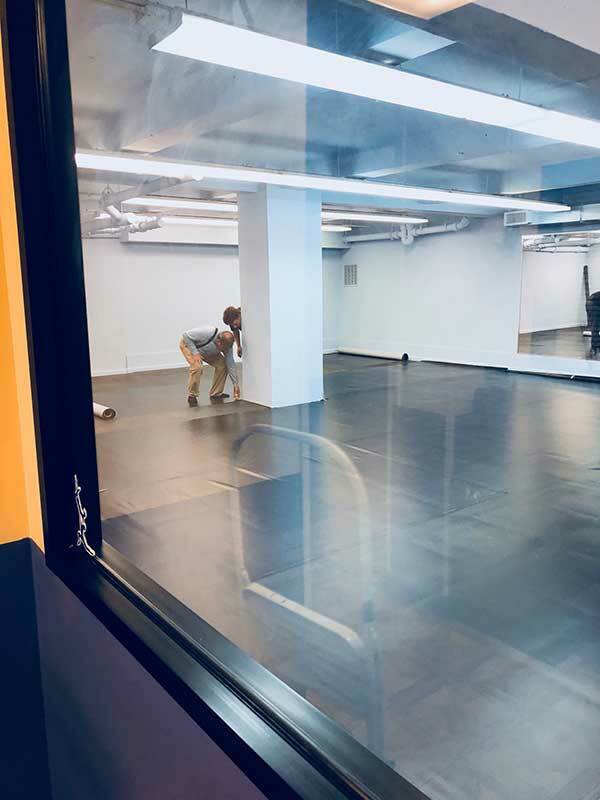 If we have concrete floors in a new dance studio and we use the 3/8" Sub floor tiles and the Marley Adagio rolls is that sufficient sub flooring for the dancers? Our 3/8" Home Dance Subfloor Tiles are a great subfloor option with the Adagio rolls. This will depend on what exercises you are doing on the floor. You can certainly try it and if you have movement you can use double sided carpet tape to keep the tiles in place. is this floor good for tap shoes? Without a roll/top on the tiles, tap shoes may tear these tiles up since they are made from foam. Are these tiles recommended for use on a second story wood subfloor? Installing dance room upstairs. You can install our dance subfloor tiles on any level of the home, on any subfloor. The floor tiles provide the cushion I need for my activities without having a ton of unwanted give. We LOVE our studio!!! 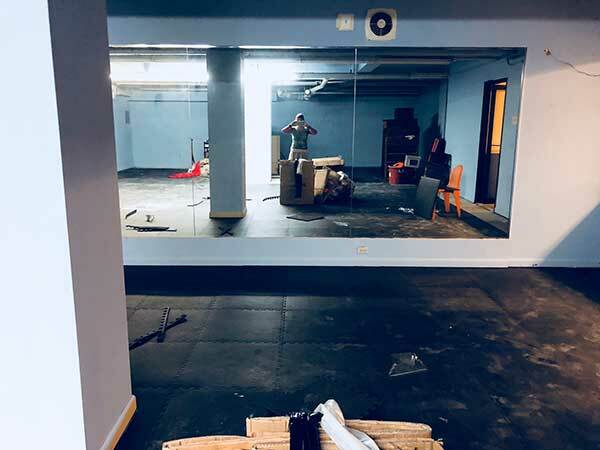 Your floor helped transform an old dojo with a concrete floor into a dancers’ pride and joy!!! Here are some photos, in process and at the end! These tiles are great! It looks nice and holds up well. My daughter is constantly using it. I would highly recommend this floor! Easy to interlock and cut. I put them directly over concrete and used as a subfloor under my marley flooring for my home dance studio. It works great and gives support for all types of dance and yoga.